The Health Promotion Team works within the community to assist local organizations with policy development and implementation, environmental changes such as walking trails, worksite wellness programs, joint use agreements and coalition building related to health priorities. Our work is focused on health priorities that have been identified by the county’s most recent community health assessment. 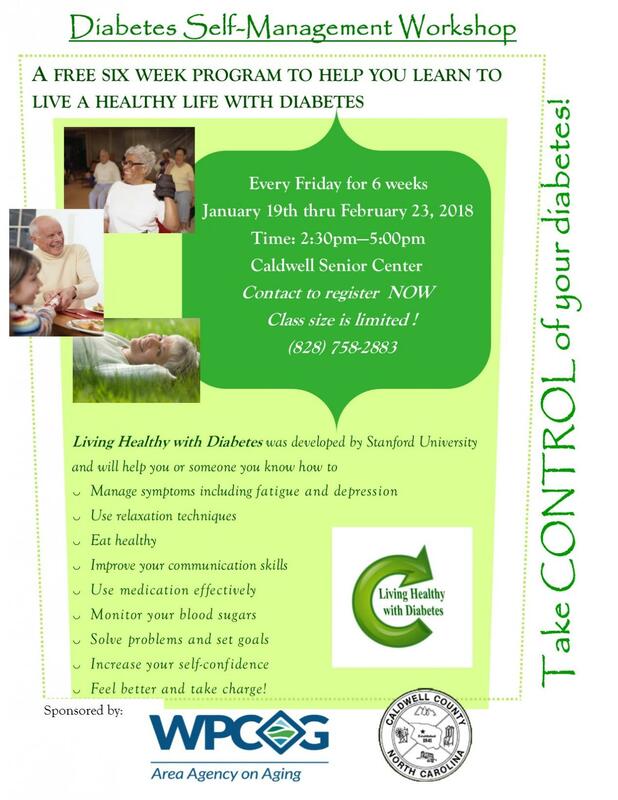 The Health Promotion team, with the assistance of multiple community partners including Caldwell Memorial Hospital, lead efforts in conducing the Community Health Assessment every three years as a way to identify the needs of the community. Community members are asked to provide input into the selection of the county’s health needs and come together to identify interventions that target those needs. For requests for health education materials (brochures, data and information) or health education services (presentation, health fair, etc.) at public events and organizational meetings/events processed, the related forms below will need to completed and returned to the Health Education Supervisor. 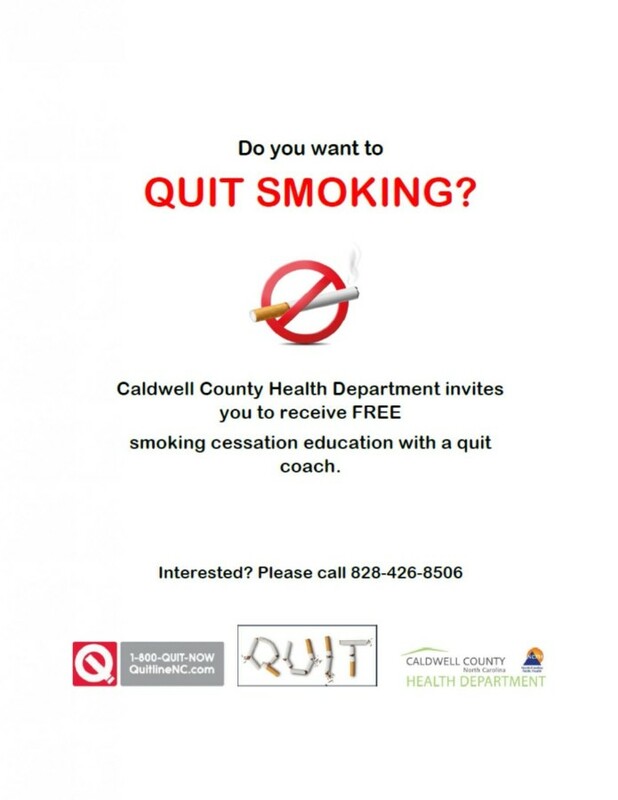 Caldwell County Health Department is also the lead agency for SafeKids Caldwell County. Caldwell County Health Department and Granite Falls Fire Dept are permanent checking stations. 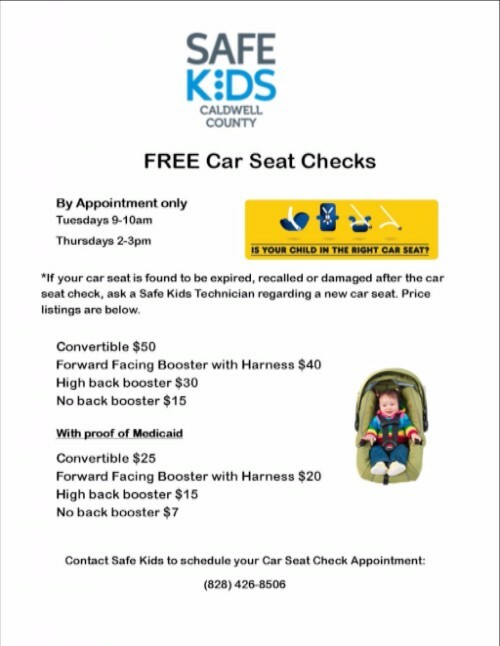 Contact Anna at the Health Department (828-426-8506) or Granite Fire Dept (828- 396-2379) if you would like to have your car seat checked.